23 Mar 2019How do I start a dental practice, and how much will it cost? Some dentists go through their career quite happily earning a salary as an associate. The idea to buy a practice rarely comes up, and they might not think about how to own a practice. For other dentists, opening their own dental clinic is an exciting aspiration. There are so many different reasons for and against opening your private dental practice, but there are a lot of significant considerations to think about. So, let’s take a look at how you can start up your own dental practice! The very first thing to do when you want to set up a dental practice is to get your plan down on paper. A proper business plan is essential, but more than that, getting your ideas, dreams, and aspirations down on paper is going to be the step you take to make it happen. Come together with your partner – or an advisor – and clarify your vision of what you want to achieve with your vision. This is the point of your business plan; you need it all down officially as this is going to help to guide you through the process. It’s also going to be imperative for trying to finance a practice. Banks love a business plan – make sure you have yours. 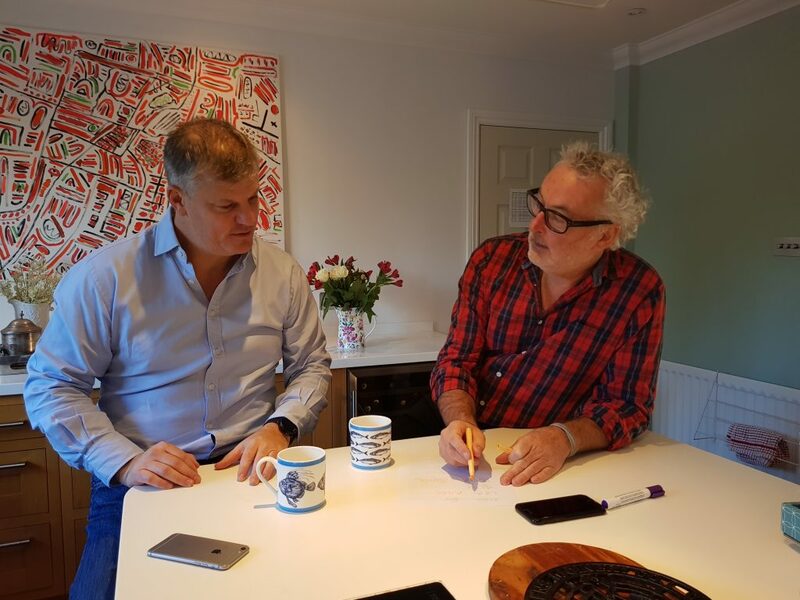 You can have as many brilliant business plans and ideas as you want, but without a location in mind, it can be challenging to make it all come together. Your business plan will identify the type of customer that you want, and this is going to help you to look for suitable premises to set up in. Scouring for the right property can take some time, and you need to negotiate rates with the estate agents as well as decide on whether you want to be in the centre of the action in the city or on the outskirts. The best thing to do is to research the footfall of your patients and how visible the practice is. The last thing that you want to do is move into premises that are so far away from people that no one can find you. A design team to assist with your branding. This will help you to bring in the right customers. A marketing agency, including a web design team to build your website and make it accessible. You need to create something that will encourage customers to come to you, and you need the experts on hand to help. Associate dentists may be a part of your business model, but you need to think about what your financials will be when it comes to your practice. To approach the bank, you need to arm yourself with as many financial forecasts as you can come up with. You should also consider approaching more than one bank for support, and you need to plan your budget stringently. Sticking to it is so important when it comes to getting your business off the ground. The shiny dental equipment may look exciting, and the expensive dental chair looks like it has all the bells and whistles, but it’s best not to spend your entire budget in a few hours. An essential part of the process is going to be saying the occasional “no” to salespeople. Getting your financials in order is going to help massively. Building the right team of dental associates, nurses and administrative staff is vital for your success. You want people who are sticking around for the long haul, and it’s likely that you won’t get it right the first time. However, without a dedicated team, you would not have a business that works seamlessly together, so the team that you have needs some careful thought, planning, and hiring. Bring in a recruiter if necessary, but know what you want! So, you’ve set up your business plan, got your finance, found your location and started your brand. The next thing that you need to do is bring people through the door, and this is where you can get creative. Get the local community involved with freebies and informational seminars at the new practice. Garner as much interest as you can on social media and set up an open day where new patients could sign up and start booking appointments. Offer discounts and other incentives, and you could have a dental practice that starts successfully. How Much Does It Cost To Start A Dental Practice? Financing your vision for a dental practice can be difficult if the current economic climate is unstable, and most leaders find that there is a lot of competition for patients. Managing the cash flow for your brand new practice will be essential for it to be a success, and there are many costs to consider so that you can manage it effectively. Let’s look at some of the costs. Your valuation is going to support the financial decision made to purchase your new practice. They happen whether you’re buying a mortgage or an investment, and it’s for the benefit of the lender. It allows the bank to confirm the practice is satisfactory security for the finance. With a professional valuer from the bank, you can check that your premises purchase is worth it. They’ll also be sure that if things don’t work out, repossession of the property can go ahead and be sold for a high amount. Valuation costs can run between £1,500 and £3,500, which has to be paid before the valuer’s assessment. It has to be built into your budget to cover the legal costs that are associated with buying a practice. These fees will include searches and surveys as part of the process of due diligence. Solicitor fees can and do vary, and they depend on a number of factors, including whether the premises is leasehold or freehold. Generally, solicitor’s fees run between £5,000 and £15,000 for one transaction, so this is something you have to budget for as much as possible. There are instances where the bank may request the projected forecast figures from an accountant, and this detailed forecast includes income and expenditure projections and any existing accounts vs statistics. This can cost around £2,000, and it gives the credit team the confidence in your figures and know that the whole forecast is a realistic one. Some banks like to perform their own checks, and if this is the case you could be hit with a bill of up to £3,000. These all leave an average yearly profit of £90,000. Of course, these costs are all averages over a year, and they will differ per practice. The point is that finding out the true cost of buying a practice takes that first step to ownership in your future. Who Can Support My Practice? Wesleyan provides tailored financial advice as well as products to GPs, hospitals, dentists, teachers, and lawyers. There are dedicated financial consultants who work with individual sectors, so you get dedicated help based on your business. Providing flexible and comprehensive dental plan support, DPAS focuses customer support and are a dental plan provider to think about when you’re setting up. Their reviews are excellent, with 100% of those who transferred from other services to DPAS happy with what they’re getting. AS a leading provider of practice-branded membership plans, Practice Plan can assist with a move to private practice from the NHS. The Peloton can also help you to buy, grow or sell your dental practice.